Fast, affordable, cell phone repair! 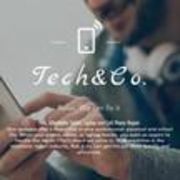 Rate and review Tech & Co in Hagerstown, MD, United States! Share your experiences at Tech & Co with your friends or discover more Electronic Stores in Hagerstown, MD, United States.